For a detailed discussion of the pathophysiology of pain, please refer to part I of this series on interventional analgesia. What type of imaging or techniques are involved in interventional pain diagnosis and management? Radiography is useful as a baseline screening tool for skeletal interventions. However, newer modalities such as computed tomography (CT) allow even better resolution of boney structure and disruption with spatial resolution; CT is particularly useful in massive tissue damage such as that induced by trauma in small animals whereby multiple body cavities can be “scanned” without regard to radiographic technique. Fluoroscopy has proved very fruitful for larger joint or facet injections, epidural and spinal injections, but requires ionizing radiation as well. Magnetic resonance imaging (MRI) and functional MRI has been ultimately linked to incredible advances in pain management, speciﬁcally concerning human neurologic disease/neuropathic pain and soft tissue disease (such as fascial, tendon, ligament and intra-articular/periarticular structures) but both require general anesthesia and cost is considerable for veterinary patients. In recent years ultrasonography has been recognized as a non-invasive, practical method for localizing “soft tissues”, and in particular analgesia-wise, peripheral nerves, plexi, difﬁcult joints (facets), tendons, and even epidural spaces; this modality vastly improves block success and safety. It is my choice of diagnostic modality for most analgesic interventions. Ultrasonography has many advantages in that it is less cumbersome and faster than ﬂuoroscopy and CT for perineural or soft tissue visualization. This diagnostic modality can be utilized in awake or lightly sedated patients, is very mobile, and the cost of the procedure is signiﬁcantly less than other imaging modalities such as MRI or ﬂuoroscopy studies, making it widely accessible to assess both soft tissue and nerve structures, especially on recheck exams. Fig. 1: Ultrasound guided femoral nerve block being performed via inguinal approach using ultrasound, in a patient undergoing cruciate reparative surgery. Fig. 2: Ultrasound guided femoral nerve block. Arrow shows sheathed needle penetrating vastus medialis muscle (outlined by red line). Small white circles show femoral nerve (larger white circle) and saphenous nerve (smaller white circle). Blue circle outlines deposition of injectate. Neurolocation (aka electrostim-location, electrolocation, neurostim-location) is a technique whereby electric current is directed onto nerve ﬁbers suspected of supplying a painful, or potentially painful (upcoming surgery), area with stimulation. The nerve will depolarize and contractions of the innervated muscle bodies will occur. Neurostimulation techniques have been identiﬁed for major nerves, nerve roots, and plexi in both human and veterinary patients. These techniques have guided perioperative pain control with local anesthetics for the past decade in veterinary medicine. Recent developments in nerve stimulation location include the use of a peripheral nerve stimulator to determine the location of a peripheral nerve with purely sensory ﬁber components, percutaneous guidance to guide actual initial needle insertion, and even stimulating catheters for continuous infusion of substances. Fig. 3: Neurostimulation location of brachial plexus for delivery of neurolytic block in a canine patient. Blue arrow: Nerve location needle in brachial plexus of right forelimb. Neurostimulation location requires an inexpensive nerve stimulator, specialized sheathed needles, and catheters designed to deliver a low enough current to assure proximity to nerves, nerve roots, plexi, or ganglia. To treat the intended issue, and avoid toxicity, extraneural structural damage and intraneural injections, the goal of any local or regional anesthetic technique should be to use the lowest appropriate volume of local anesthetic agent as close as possible to the nerve of question (but not within this nerve). One way to avoid intraneural injection is to locate with electrostimulation. Peripheral nerve stimulators used for nerve location should have short pulse durations such that motor responses can be elicited without causing discomfort or pain (in human pain management, these are used in awake patients without causing discomfort). The lower the intensity needed to stimulate the nerve, the closer the needle tip will need to be, and hence the more accurate and effective the blockade. Insulated needles should be used when performing nerve stimulation-guided blocks. These needles typically have a Teﬂon coating along the shaft of the needle with an exposed tip. Neurostimulation location occurs only when current intensity is applied by the needle electrode and the tip is sufﬁciently close the nerve; consequently, a muscle contraction becomes evident. Utilizing ultrasound, one must interrogate the proposed area using both grayscale and Doppler imaging; vessels should be noted and avoided. A general site of approach is then approximated and bony landmarks/skin may be marked if desired. Needle and syringe selection is joint-, tendon- and nerve-speciﬁc and should be prepared prior to injection. The beam should be directed obliquely at the needle and advancement is directly visualized. 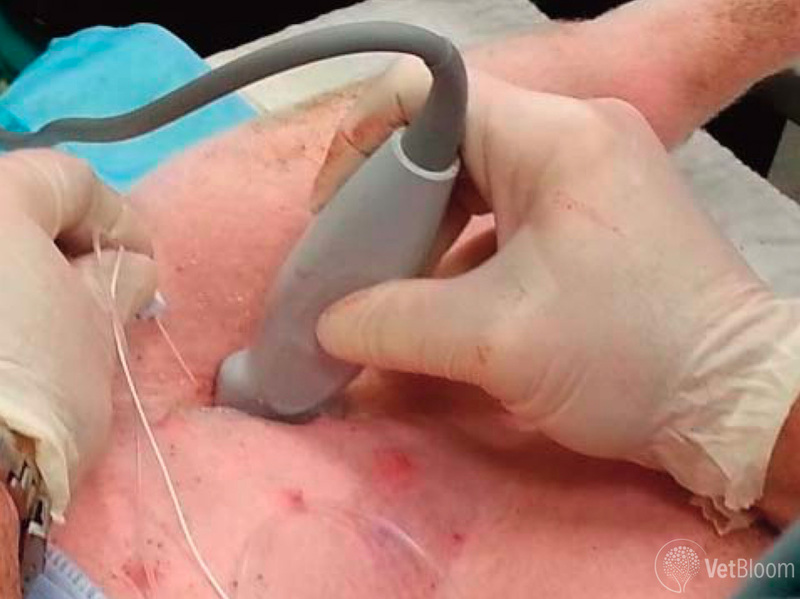 The tip of the needle is directed underneath the ultrasound transducer. The needle may be started cranial or caudal to the transducer. The needle is advanced through skin and subcutaneous structures into the given area, and sampling may occur prior to injection. During the injection, circumferential spread of drug around a nerve or tendon, ligament, or other pathologic structure conﬁrms appropriate placement. 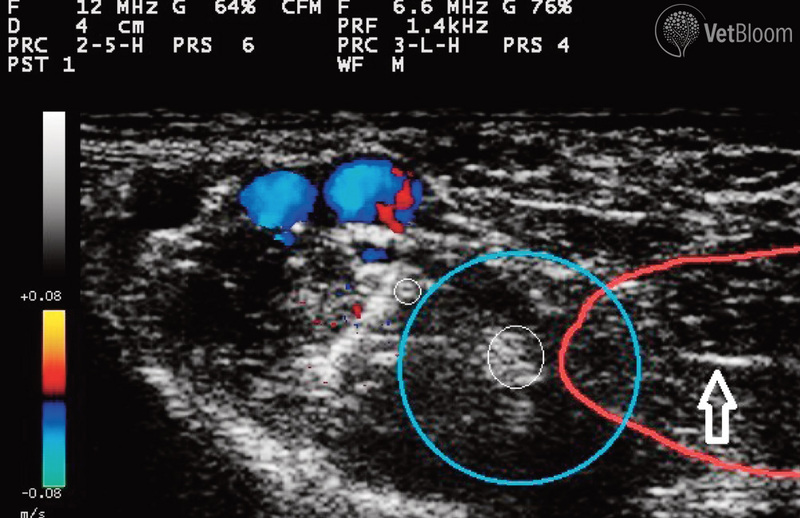 A special ultrasound visible needle (echogenic) may be used to improve visualization, although scoring the shaft of the distal needle with a scalpel blade has a similar effect. Most practitioners trained in ultrasound can visualize soft tissue structures well due to obvious structure, shape, and echogenicity of various problem areas. In longitudinal view, muscles appear as relatively hypoechoic structures with ﬁne, oblique echogenic striations representing fascia. Likewise, tendons are hyperechoic and composed of multiple organized parallel lines surrounded by a minimal amount of anechoic ﬂuid. The tendon sheath appears thin and hyperechoic at the peritendon-superﬁcial soft tissue interface. It is imperative that the transducer remain parallel to the linear ﬁber pattern of the tendon to prevent artifact. Ultrasound identiﬁcation of nerves in cross section can be challenging. They often appear round to ovoid and demonstrate different echogenicity. They are hypoechoic or dark, showing the neural component, or hyperechoic/bright showing the connective tissue component. Needle imaging during advancement provides real-time visual guidance to minimize random needle movement as the block needle is advanced toward the target nerve. A recent conference dedicated to ultrasound and e-stim location, and application of advanced locoregional analgesic techniques in veterinary patients was hosted by the University of Florida’s College of Veterinary Medicine in Gainesville. The conference was attended by human and veterinary technicians, anesthesiologists and practitioners. There is an expectation that this conference will be held regularly going forward. A plethora of injectable drugs are used in interventional pain management techniques. Choice of agents and dilution are often unique to each blockade, and dependent on the target tissue (nerve, plexus, fascia, tendon, or ligament); these are discussed at length below. There can be neuraxial (epidural or spinal), perineural (near to major nerves and plexi), intraarticular, tendon or trigger application, and there may be a single shot (one time) or continuous application (usually through a catheter). Substances can be used for immediate (usually acute, intensive care, or surgical), long term (repository or encapsulated), or even (semi-) permanent neurolytic effect. 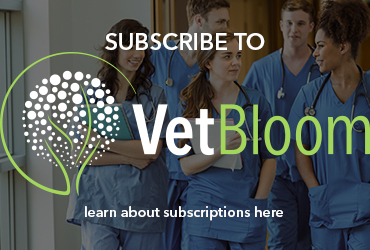 Veterinarians have used “blind” injections as veterinary education has historically lacked image guidance for joint therapies and relied on boney landmarks. Ultrasonography seems to be clearly improving a majority of equine facet intra- and periarticular interventions. Local anesthetic use in intra-articular administration has recently been questioned due to chondrotoxicity potential. Antibiotics, particularly aminoglycosides (gentamicin, amikacin), whether in parenteral or encapsulated form can be added to intra-articular or tendon injections to avoid infection, but are rarely required. A review of pharmacologic agents for both diagnostic and therapeutic use is available, as well as reports of use for surgical pain, septic arthritis, post-surgical healing, chronic degenerative disease; most recent reports involve cell based regenerative therapies, hyaluronate, triamcinolone, local anesthetics and opioids. Viscosupplementation refers to the use of substances such as hyaluronate delivered intra-articularly; this intervention for equine performance preceded use in humans and dogs. Although the actual indwelling time of injected hyaluronate is days, the beneﬁcial effects are variable, lasting from days, to months. Some argue that the use of autologous biologic therapies such as cell based (embryonic and mesenchymal stem cells, ﬁbroblast and tenocytes), or factor based (platelet-rich plasma (PRP) and IL-1 receptor antagonist protein (IRAP)), has driven clinical usage to the point that it has outpaced, or perhaps even bypassed, scientiﬁc investigation into their use. Peri-tendinous interventions: Tendon injuries occur commonly in both horses and dogs and analgesic interventions are required commonly for conditions such as trauma and injury, overuse and strain, and occasionally systemically displaced infection. In dogs, shoulder (biceps, supra- or infraspinatus) tendonitis, calcaneal tendonitis and tendon rupture, patellar tendonitis secondary to cruciate damage and repair, or patellar luxation, sesamoiditis, and carpal/tarsal injuries in the working dog frequently require interventions. Iliopsoas muscle and musculotendinous injury should also be included in this group. Treatment for canine tendon disease may involve ultrasound guidance, and in contrast to equine desmopathies (which currently rely heavily on regenerative therapies), often involves steroids, homeopathic preparations (Arnica, Traumeel), sterile water, dextrose, glycerin, phenol, or even local anesthetics, in addition to platelet rich plasma (PRP) and other cell based therapies. Regenerative and cell-based therapies seem most utilized when considering intra-articular or tendon based interventions in veterinary medicine. Scientiﬁc evidence indicates that PRP can provide a scaffold and growth factor concentrate to enhance the cellular repair of musculoskeletal lesions in both soft and orthopedic tissues. PRP is an attractive product because of its autologous nature, noninvasive collection process and rapid preparation. Therapeutic perineural interventions: Locoregional or nerve blockades are used in both small and large animal arenas for treatment of acute and surgical pain. Using various combinations of agents (mostly local anesthetics, with or without saline, ketamine, or opioids), they reduce the need for inhalant, improve pain relief, permit surgery without need for heavier agents, and promote quicker recovery. Blind or non-guided peripheral nerve blocks have been used diagnostically in the equine patient, and recently in the canine patient as well. Therapeutic nerve blocks have been used in chronic pain management in humans through several venues, including medial branch blocks for chronic lower back pain, neurolytic blocks for cancer pain, and speciﬁc or selective nerve, nerve root, or plexus blocks for chronic post traumatic or neuropathic pain. Chronic pain or palliative nerve blockade deserves attention in veterinary medicine. Reports of neurolysis in veterinary patients are few, but reports using resinferintoxin perineurally showed promising results in reducing inﬂammatory hyperalgesia. Risks of (semi-) permanent neurolysis include impermanence, neuritis, neuroma formation, motor deﬁcits, and structural/functional damage to nonneural structures. Due to plasticity and the fact that cell bodies are usually spared, pain relief is solid but rarely permanent, averaging somewhere between 2-30 weeks in patients with stable disease. Neurolytic blockade using alcohol, ammonium salts, phenol, glycerol, and hypertonic saline have all been utilized to produce Wallerian degeneration when administered neuraxially or perineurally in patients with limited life expectancy, usually those suffering from intractable pain and cancer pain. Sarapin is a derivative of the pitcher plant and has been evaluated in equine models of soft tissue pain and in human lower back pain. Alongside irritated nerves, local anesthetics are commonly placed and combined with alpha agonists, opioids and corticosteroids in neuraxial administration where they exert an anti-inﬂammatory effect as well as purportedly helping with steroid crystal dissolution for lengthier reduced inﬂammation. In addition to all of the above substances, ﬂuoroscopy, ultrasound and CT have been utilized to guide placement of a wide variety of continuous infusion catheters, stimulating catheters, radiofrequency ablation probes, and cryoneurolysis probes into perineural areas for peripheral, central (spinal and epidural) and sympathetic neurolysis in people. These have been used for decades to alleviate suffering in degenerative disease, staged surgical disease, and in cancer patients with intractable pain. Recently, encapsulated local anesthetics and addition of other substances (steroids, opioids) to local anesthetics have added a new dimension to utilization of locoregional blockade in veterinary patients which has the potential to provide extended pain relief without neurolysis. In veterinary patients, this author has utilized ultrasound guidance and electrostimulation location to allow placement of combinations of encapsulated local anesthetics, butamben, alcohol, ammonium chloride, sarapin, bupivacaine and triamcinolone or methylprednisolone acetate near nerves whose distribution encompasses painful tumors, surgical sites, self mutilatory disorders, sensory neuropathies, and radiation induced dermatologic injury. 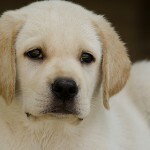 With these techniques, pain relief without motor or apparent sympathetic complications has been provided over periods of days to weeks, and has allowed quality of life to veterinary patients with certain forms of chronic, oncologic, and terminal pain. Epidural and spinal interventions: Epidural injections have been used to treat acute and perioperative pain in humans and in veterinary patients for decades. Spinal injections have been used for surgical MAC reduction and postoperative analgesia in dogs. While epidural and spinal local anesthetics have been the mainstay of acute pain management, steroids provide relief of chronic pain when administered epidurally and intrathecally via anti-inﬂammatory effects through inhibition of action of phospholipase A2as well as diminished transmission of impulses along the unmyelinated C-ﬁbers. Epidural steroid injections (ESIs) are the most widely utilized pain management procedure in the human medical world, their use is supported by more than 45 placebo-controlled studies, and dozens of systematic reviews. The results of clinical trials and review articles are heavily inﬂuenced by specialty, with those done by interventional pain physicians more likely to yield positive ﬁndings. Janssens (2009) found resolution of signs in 53% of affected dogs for 5-66 months and improvement in signs in 79% of dogs with lumbosacral disease when methylprednisone was delivered epidurally. Epidural opioids penetrate the dura and gain entry into the cerebrospinal ﬂuid as do spinally administered opioids. The theoretical advantage of neuraxial delivery in proximity to the spinal site of action, is that it allows a signiﬁcant reduction in effective dose compared to systemic administration, reducing the incidence of side effects. Recent evidence has suggested a role for the spinal NMDA receptor sub-unit in cancer bone pain. The development of targeted therapies (eg. ketamine, an NMDA blocker) injected perineurally or neuraxially may herald future analgesic opportunities. Ziconotide is a compound based on the neurotoxin produced by the cone snail. Combination of this agent with morphine has been used for chronic refractory pain when administered neuraxially. Resiniferatoxin is a potent capsaicin analog. Intrathecal administration leads to selective, prolonged opening of the transient receptor potential V1 ion channel, which is localized mainly to C-ﬁber primary afferent nociceptive sensory neurons. Although associated with transient hemodynamic effects, spinal administration in dogs with bone cancer produces a prolonged antinociceptive response. 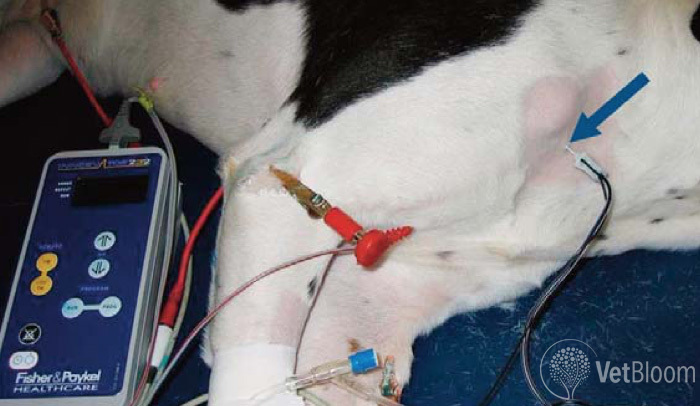 Epidural catheterization has been utilized and studied well in canine and bovine patients and placement through more anterior and caudal approaches have been described. Epidural catheterization to treat chronic pain in veterinary patients has been used with good success. From various surgical or acute locoregional techniques, a reduction in isoﬂurane or even absolved need for inhalant altogether can be expected. In addition, these therapies induce excellent perioperative pain relief, earlier return to function and rehabilitation, less gastrointestinal and urinary side effects compared to parenteral administered drugs, and even improved tissue healing/recovery (due to anti-inﬂammatory effects of local anesthetics). Most patients that receive a chronic therapeutic interventional pain relieving procedure will experience two “peaks” of analgesia, one immediately following the intervention, and the other within weeks to months later. This is highly dependent on the intervention itself and the substances used in the injectate. Sadly, most patients receiving these procedures have had chronic pain, which is classically more difﬁcult to “solve” or “treat” than acute pain. It is rare to have the pain be completely abolished; more typically the pain threshold is increased, or the duration and/or intensity of pain is reduced. Many of these blockades can be repeated regularly, especially in the end stages for the terminal patient, often every 2-6 weeks as needed. In a clinical setting outcomes assessment of therapies for chronic pain alleviation can be readily assessed via pressure mat, gait analysis, or stance analyzation for musculoskeletal therapies. Chronic pain scoring is best determined for companion animals via quality of life measures, several of which exist for osteoarthritis, cancer, spinal or intervertebral disc disease, etc. These scoring systems provide framework for owner questionnaires and can guide response to therapy, or lack thereof, and future interventions if needed. Ultrasonography is also a fantastic therapeutic monitoring tool for soft tissue (articular and tendon) recovery. Pain is a multidimensional experience unique to each patient. Hopefully this series will provide practitioners and specialists with an awareness of the options and possibilities for treating both acutely and chronically painful individuals. Interventional therapies, though invasive, can afford many advantages to patients, improving quality of surgical experience and quality of life overall. Lemke KA, Dawson SD. Local and regional anesthesia. Vet Clin North Am Small Anim Pract 2000;30:839-57.